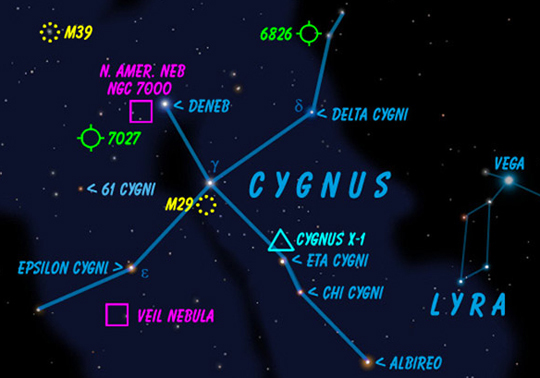 Star KIC 8462852 is 1,480 light-years from Earth between the Cygnus and Lyra constellations in our Milky Way galaxy in colorful star map below. Image by Kepler Space Telescope for Planet Hunters project/Tabetha Boyajian, Ph.D., Yale University astronomer. October 28, 2015 University Park, Pennsylvania - Last week on October 22nd, senior scientist Gerald Harp at the Search for Extraterrestrial Intelligence Institute in Mountain View, California, reported to Universe Today: “We either caught something shortly after an event like two planets crashing together — or alien intelligence.” He was talking about a very strange star that astronomers call KIC 8462852. This large, mature star 1,480 light-years from Earth has the strangest star light dimming and brightening pattern of some 150,000 stars in the Milky Way Galaxy studied by the Kepler Space Telescope and Planet Hunters project. Kepler was launched by NASA on March 7, 2009, specifically to look for Earth-like planets orbiting other stars.